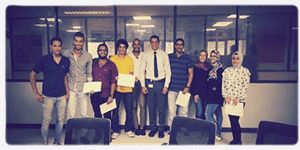 Prof. Ehsan Nassef, the CEO of the PUA Training Centre, attended the celebration held to honour the PUA students who participated in a summer internship at Carrefour City Light in Alexandria and distribute the internship certificates among them. The celebration was held on Thursday 4/10/2018. The PUA student interns were of the following faculties: Financial and Administrative Sciences, Arts and Design and Engineering. During the celebration, Prof. Ehsan Nassef gave a word about the PUA Training Centre and how field training becomes a prerequisite for graduation. On his part, Mr. Ali Ibrahim, the Director-General of Carrefour City Light, praised the exceptional standards of the PUA students as well as their punctuality during the internship. He also promised to provide PUA students with job opportunities after graduation at Carrefour newly- opened branches which are in a need for appointing fresh graduates who have practical experience in the field; a requisite which will not be achieved except by field training. 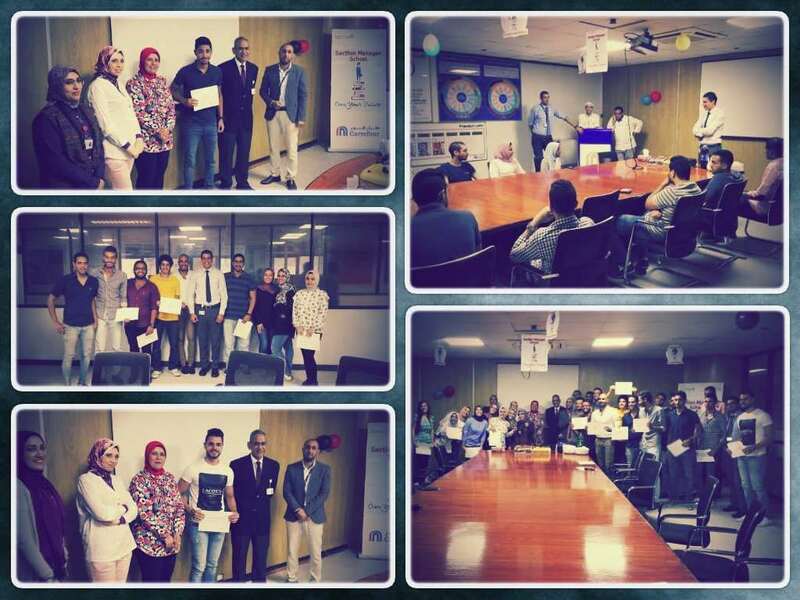 The celebration was attended by Mr. Haytham Khaled, the HR Manager at Carrefour City Centre; Ms. Mona Wafiq, the HR Manager at Carrefour City Light; Dr. Mohamed Abdel Salam, the Director of the Quality and Occupational Health Department at Carrefour City Centre; Mr. Ahmed Hassan and Ms. Dina Farid, the General Manager of Training.